[Some personal background: At the time of writing these notes (January 1981), I was 26 years old ("earth-time") and had for over nine years been studying and, more importantly, relaxing/dissolving into nondual awareness as revealed by our sacred traditions' most respected sages—e.g., Ramana Maharshi, Ramakrishna, Sankara, the Buddha, Nagarjuna, the Ch'an/Zen masters, Milarepa, Meister Eckhart, John of the Cross, et al, after a life-changing awakening to the nonduality of Divine Reality in Spring 1971. I had just finished a year of course-work for the M.A. degree in East-West Psychology at the California Institute of Asian Studies (soon renamed Calif. Institute of Integral Studies, CIIS), the best graduate institute I could find for studying at not merely the mental-academic level, but also for opening the heart and refining the soul in the One Awareness via study of sacred texts, meditation, intensive workshops and classes, etc. I was about to embark on writing a master's thesis and do a few years of course-work for the PhD program. But first I wanted to spend six months in South Asia, meeting authentic adepts of Buddhist, Vedanta, Sant, Sufi and other traditions, thereby experiencing these traditions' and my own deepest essence. In 1979-80 I had read the amazing book of conversations with Sri Nisargadatta Maharaj, entitled I Am That, and I especially wanted to meet the old sage of Bombay before he physically expired. As Providence would serendipitously deign, I was able to go on my first trip to Asia in early November 1980 with the Burmese Buddhist nun Rina Sircar (an instructor at CIAS/CIIS) and several of her students. We stopped first in Burma (Myanmar) where, far to the north of Mandalay, I became a monk for a short time with the venerable and very impressive arhat-master Taungpulu Sayadaw. Then we arrived at Pondicherry, India, where Rina's brother and sisters lived. From there I wandered westward on my own, spending a few weeks with the still-abiding presence of Bhagavan Sri Ramana Maharshi (1879-1950) at Arunachala-Ramanashramam, and meeting many holy persons over a few weeks in the vicinity at that time (and on subsequent visits back to the region in 1981, 1988 and 1995) —especially the beautiful sage Annamalai Swami, a spiritual son of Bhagavan Ramana, and the delightful "God-child of Tiruvannamalai," Yogi Ramsuratkumar. Then I stayed for 10 days with the saintly sage Mother Krishnabai at the late Papa Ramdas' Ananda Ashram in Kerala, before taking a 26-hour bus ride north to Bombay (Mumbai) to finally see the formidable adept, Sri Nisargadatta Maharaj. 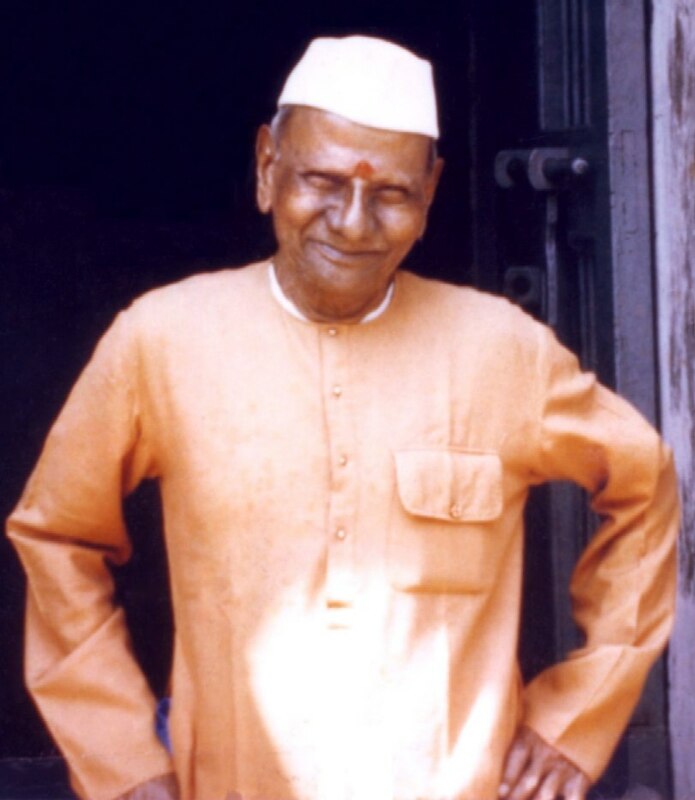 I arrived by taxi ride at the front door of Sri Nisargadatta Maharaj's "Vanmali Bhavan" building (on 10th Lane in Bombay's busy downtown Khetwadi area) early on the morning of January 9, 1981. I was invited into the Maharaj's residence by his disciple Jean Dunn, and was personally greeted by the Maharaj himself, who had just finished his morning bath, and who stood there adorned only in a dhoti and towel, while I stood a soot-covered mess with my dusty backpack. He kindly instructed me to place the pack, an item not fit to bring into any Indian home, onto the clean floor of his home under a nearby cot. He next beckoned for me to go upstairs for the 90-minute morning meditation and chanting, which would then be followed by the morning group talk and exchange with Maharaj and a larger group of visitors. In answer to one man's dilemma about what to do in the face of life's paradoxes and choice-making decisions, Sri Nisargadatta Maharaj said to just give up the sense of being the responsible doer and choose or not choose to do whatever. Then he challenged us: "You are currently identifying with some material, some entity as 'you.' What is that entity? Investigate it. Does it really exist? Is it really you?" In a while, Maharaj challenged us again: "What is it that you are using to be, to exist, to think? What principle are using to think or talk? You can't grasp it with the intellect." The "answer" to this is, of course, "pure Awareness," or "the Supreme Self"; but these words themselves are only intellectual concepts. The Maharaj's way of formulating the question, or his presence behind the question, was very efficacious in bringing about a very vivid realization of Self beyond any mere intellectual concept of a "Self." During a later portion of the discussion, some of the people present seemed to be missing the point (what "people"? what "point"?--all is a dream), so I spontaneously ventured a comment in the spirit of Maharaj's teaching as I understood it: "Is it not delusion to presume that we are sitting here, listening to the Maharaj? That is, to think that something is really happening here?" (The Maharaj will often say that "nothing is really ever happening"). The Maharaj, after my words were translated, nodded in approval. He went on to say that people come and want more concepts about spirituality, when what he is doing (in the dream of consciousness) is to get people to drop concepts, even the concept that something is happening, that you are here. "I tell people, 'You are not here."' He admitted that his teaching is not for the multitudes, but for only a few—one in a million, not really even that many! If he were to go around in public, he said, telling people that they don't really exist, he'd get killed—they simply wouldn't understand and would feel threatened. I ventured, "Is it not delusion to think that there are 'other people' and 'something to be understood' and 'we who understand'?" He nodded again. Ramesh Balsekar (one of the translators present at the morning sessions) clarified how Maharaj is just "consciousness talking to consciousness," and that there is no separate, elite "us" to spread any truth to anyone. In another moment, after a lot of hypothetical, "what-to-do-if-such-and-such-happens?" speculation by some people present, Maharaj said that we are like a parent ignoring our own children and worrying about an unborn child! At the evening discussion that January 9th, after being called up to sit in front of the Maharaj and answer a few of his exploratory questions, I told him that I find it easier to practice atma-vicara (self-enquiry) when my life situation is simple, but that the practice is made more difficult in situations of social responsibility, decision-making, and so forth, where the sense of "me" and "mine" sometimes overwhelms. I am, therefore, simplifying my life and not engaging in many activities. I asked him, "Is this the right path or should I be trying to bring self-enquiry into a more hectic schedule of doing more, being more responsible?" M: Whatever suits you best you may do. Whatever you may do, you cannot become Brahman [Absolute Reality] because you are That. So behave any way you like. Timothy: All the jnanis [gnostic sages] say that to think one is not Self-realized is a big joke. I know this on an intellectual level, but not completely in the heart. I still identify with "me" and "my" feelings, moods, and so on. M: Once you give up your identification with the body, then you are all the time the Self, or Atman, only. For this, no effort is required. You only have to realize that you are not the body. You can try to act like what you are not, but whatever you are already, you need not do anything extra [to be that]. The Self is spontaneously, already there. There is no effort [needed to realize]. You are not to gain your Self, you are already That. Timothy: How to stop continually acting that I am not the Self? M: You cannot do it. That is the activity of the mind. M: It will happen; you can't do it. That mental activity is spontaneous and your True Nature is also spontaneous. Your form or your acting may differ from time to time, but you are not that which is seen, but the One who sees--That you are. You can do this, but don't put in any effort. No effort is required. The Atman [Absolute Self] has not changed. There will not be any change in the Atman; so, by putting in any effort, by doing anything, you cannot realize. It is spontaneous, it is there. Whatever you try to do to achieve it will prevent it. Questioner [a young Australian fellow named Ian, who brought up the point that we are always being told by Maharaj to be earnest]: What are we to be earnest about? M: Be earnest about your Self, about your True Nature. There is no effort there. It is spontaneous. That is the nature of the Atman. Timothy: Is that earnestness unwillingness to settle for anything less than what one is? Ian: Intellectually we understand all this, but to have it as a living reality is so difficult. M: You can use the intellect to know what you are not. Whatever you are--to know That, the intellect is of no use. Timothy: We can only be it and cannot try to make an object out of it. M: Whatever you cannot know is your Self. Timothy: Is it not the case that we are all sitting here more or less identified with the body-mind and taking ourselves to be a person, and asking "what to do?" and the Maharaj is saying, "You need not do anything--leave the mind alone." Is it then that the Grace of the Sadguru works to slowly dissolve all this sense of the need for doing, and the sense of disidentification? We are simply to be, naturally, effortlessly? M: You have grown to this size from the state of a child; for this happening, have you put in any effort? This lotus [sitting on a table in front of Maharaj] happens [grows effortlessly] just like that. Realization is just like that. M: Yes. Just as you have not done anything to grow up, this form [or identification with the body-mind] will be given up. There is no effort. Timothy: The earnestness is to be earnest about not trying to do anything? Another Questioner: Could one say that there is an effort by the one who is not to realize that he is not? M: There is no effort of any kind. Your question arises from your identification with the imaginary human being. I have no reply to that. Timothy: Maharaj knows nothing is wrong; we think something is wrong, needs to be improved, and so on. Timothy: It's all lila (Divine play). M: You use that Hindu jargon, "lila." What do you mean by that? Timothy: This. Play, for no reason. M: Words refer to what? M: Listen to my talks for a few days, then leave this place; don't stagnate here. After listening to my talks, just be quiet and you will realize what is the eternal, what is the True. Timothy: It is easy to feel here that nothing is wrong. Out in the world I feel a sense of dilemma. Here I feel fine. Timothy: What does the Maharaj mean by the statement that I will grow "stagnant" here? M: You will disturb, spoil [with intellectual tendencies] whatever you have learnt. Whatever you receive, let it grow--be that. You be what you listen to. [Maharaj, speaking to the entire group:] You are saturated with wisdom, but that wisdom is full of ignorance. If you had real wisdom, you would have talked of something relevant. [Note: the Maharaj frequently makes sarcastic remarks like this to goad his followers into a deeper level of self-enquiry.] By this question-answer process a receptivity in you is created by which this Knowledge [jnana] is realized. I negate all your concepts, questions, intellectual formulations.... You usually get bogged down into more and more concepts and this process here is to get you out of concepts. After this morning's delightful meditation-ritual-chanting session (dhyana, puja, bhajan), and before the a.m. discussion, I bought some nice photographs of Maharaj that his followers make available. After the discussion period—during which time I remained silent, tucked away in the back corner next to the lovely altar with the picture of Sri Siddharameshwar Maharaj, Nisargadatta Maharaj's Guru—an Indian fellow came over and suggested that I have the Maharaj autograph one of the photos. I myself was rather reluctant to ask for this, but the Maharaj overheard us and didn't seem put-off by it. Onto the lower left portion of the photo he graciously signed "Nisargadatta, Bombay" in Marathi, the language of Maharashtra State. I told him, through the translator, that I had "wandered" enough, and, still being identified with the body and the conceptualizing mind, wanted to stay with the Maharaj until I gave up that identification. Saying, "Saranam Sadguru," I bowed to him. When I sat up, he made a friendly little gesture of dismissal, refusing to indulge me in my rising sentimentality. At the afternoon session I asked only one question in an attempt clarify a point that was made. Maharaj then gave a provocative insult that he has been known to deliver to others in the past, that I am "the kind of person who comes for two days, packs in all the knowledge he can, and then leaves for someplace else." [For just one instance of this insult delivered to other visitors, see Nisargadatta's remarks on Jan. 1, 1979, as recorded in The Ultimate Medicine, pp. 8-9.] When I replied that I would like to let go of that knowledge he repeated the same accusation, phrasing it, "You are inclined to pack in all the knowledge..." He's right, of course. Call it this personality's Gemini nature or a concern in my research for a broadly-inclusive perspective, it's true. But I was certainly willing to give Maharaj much more than just two days worth of attention! Later, after dinner, the young Australian lady, Coralie, said that the Maharaj was being very "outgoing" with me, very "friendly," talking to me often. With most people, she said, he either ignores them totally as too unripe or, in some cases, laughs them out the door. Predictably and most unfortunately, this ego-sense felt very boosted by her remark! Incidentally, last night I had a very funny dream wherein God appeared as the creator of the universe, and then his universe, in which he was Incarnated as an avatar, started going out of control, running amok, with him franticaly trying to control it, and then the whole thing blew up, reabsorbed into consciousness. I got a strong sense throughout, and after I woke up, that it was a teaching from the Maharaj that one must go beyond the universe and realize the Self which transcends and subsumes it. Last night I had a very vivid dream of the Maharaj: We were in a room, sitting or standing (I don't remember which), very close to each other, our faces only about 6 inches apart. I was looking into his eyes, which were extremely kind and loving, and I was asking him, with reference to his body's cancerous condition, "How are you? okay? good?" He smiled after a while and nodded, saying, "Good." Then in the next moment he was silently communicating to me to realize the Self beyond all this manifestation—and I was endeavoring in just That. Here was a very powerful dream-darshan (presence) and upadesha (teaching)! Maharaj has said on at least several occasions that in his lineage of gurus, a forceful, vivid dream is a sign of initiation into that lineage. How auspicious. At this morning's puja (ritual worship) session, which Maharaj performs diligently every day, I again watched this 84-year old, cancer-stricken man laboring away in his "spontaneous activity" of scrubbing, garlanding, and annointing the photos of his lineage of Gurus (the Navnatha ["Nine Lords/Adepts"] sampradaya), and photos of such sages as Sri Ramana Maharshi and Jiddu Krishnamurti, which are also hung high around the walls of the room. This is all a dream, Maharaj says, yet he acts impeccably within it. A true saint and a sage of the highest order. At the morning discussion, the Maharaj was saying that consciousness is one. I asked him why the I Am That books spoke of pure Awareness as beyond consciousness. Maharaj said not to refer to I Am That [yet on other occasions he has told people to read it]; all these terms were simply names for one non-dual consciousness. Later he was talking of "unity consciousness" and "duality consciousness," the former being pure, still awareness, the latter awareness in activity. I then said, "That is what I was asking earlier: why are two posited if there is only one?" To this comment Maharaj responded negatively, telling me to stop conceptualizing. Finally, he told me not to come back this afternoon. The interpreter told me to "Be still, don't comment. Just listen." And yet Maharaj is frequently soliciting questions and comments—or maybe this soliciting is intended for the rest of the group, not me. At any rate, for some of the time I had in fact been sucked into the sense of being a "somebody-needing-to-ask-questions" and felt a mild sense of "dilemma" over Maharaj's paradoxical, even contradictory, statements. So it was good that he reprimanded me. (I was disobeying his instructions to simply be what I was listening to, and instead was analyzing what I was listening to.) The rest of the time this morning I felt quite blissful "just being" with Maharaj and the satsang. After the discussion, I went over to the Maharaj and did padnamskar at his feet. He was talking to the interpreter, evidently about me. The interpreter, Ramesh Balsekar, asked, "Why do you keep coming here? What more do you want to get?" (Maharaj, I later learned, will say this to those people who already clearly "understand" the teaching and who now must go off on their own and fully live it, fully deepen into it.) I replied that I still don't seem irrevocably Self-Realized and so I keep asking questions to get clear and completely, unshakeably established. I then asked if it was better to ask the questions or stay silent. Balsekar then said that Maharaj has told me three (actually, two) times to be still and not comment. I asked if I could come back tomorrow and be silent and just enjoy Guru's Grace (forgetting that this Grace is omnipresent), and I mentioned that I had enjoyed a powerful dream darshan of the Maharaj the night before and I felt from it that I should stay with him for a while. The Maharaj graciously nodded that I could. 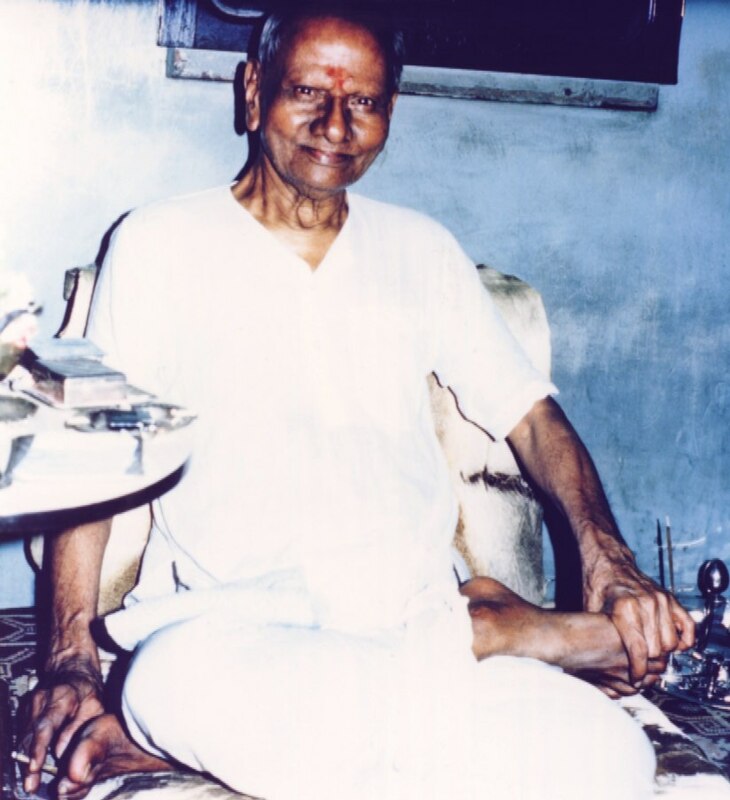 I used the time in the afternoon and evening to engage in some disciplined, much-needed exercise, and to read a short biographical booklet on the Maharaj [Gogate & Phadol's Meet the Sage: Shri Nisargadatta, Bombay: Sri Sadguru Nisargadatta Maharaj Amrit Mahotsav Samiti, 1972], which the librarian at Papa Ramdas' and Mataji Krishnabai's "Ananda Ashram" (in Kanhangad, Kerala State) had kindly given to me. What Grace! The booklet told the very inspiring tale of how Maharaj, in his 36th year met his Guru in late 1933, became the latter's leading disciple, and within several years attained complete awakening (i.e., sometime around 1938). I have been wanting to read this little book ever since it was given to me, and, by virtue of Maharaj's keeping me away from the discussion tonight, I finally got a chance to dive into it. M: Whatever activities are happening are also the unmanifest. The activity of the unmanifest has manifested. It is not the activity of an individual. There is only one, the unmanifest. There is no duality at all. For the realized one, the jnani, activity spontaneously happens. For the individual [who is not realized] he thinks he's doing things because he thinks he is an individual. The duality consciousness is at the personality level, one who is employed with body. He thinks he's doing the activity. But one who has merged with consciousness, there is no more personality as such. A jnani is one who has transcended consciousness also [and thus realized pure Awareness]. That is the unmanifest principle, having the availability of consciousness. So the jnani, the Self-realized one, [is having] the unmanifest speaking or acting through the consciousness which is available. It spontaneously happens. The Self-realized one is having the total consciousness. The Self-realized one does not identify with the body-mind. Can you show yourself somewhere in the body? (i.e., in some particular organ, part, etc.) [No, we are pure Awareness.] Therefore, our Awareness does not know ItSelf. Q: Is Awareness aware of itself? M: No. Awareness, by ItSelf, does not know ItSelf. When consciousness appears, then the witnessing of the consciousness happens to Awareness. If consciousness is not, then Awareness does not know Awareness [that is, in its aspect as consciousness]. So consciousness is knowing, "I am"—it is like an announcement, "I am." You go deep inside and before you know "I am," you have the feeling "I am." You know you are. When the sense "I am" subsides into nothingess, when there is no feeling of "I am," that is pure Awareness. The Awareness has no Awareness about ItSelf. Consciousness, knowingness, I-am-ness, is a product of the objective food-body [annamayakosha], which is like an instrument with reference to Awareness. "I am" is like an announcement, and for this you need an instrument, the body. That principle which provides energy to say "I am," etc., is Awareness. Your identity is the body and whatever concepts you are collecting. When you start the spiritual course you reject—"I am not the body, I am not the concepts," then you come to this "I am" only. When you feel "I am this 'I am' only," without words, just the feeling, you have discarded the body and concepts. At that level you are everything. You are not confined to this body, because the moment that feeling "I am" is there, everything is. The world is. If "I am" is not, world is not. Your "I am" is that world--unicity. You discard your identity with the body and mind but now you are only being this unicity consciousness. Understand this thoroughly. Be the unicity consciousness or [else] get entrenched in the body and mind and get "comforted" [in normal worldly life], if you think it is comfortable. This is the basic principle you must understand. I tell it to you again and again. Understand this only. Don't try to collect more concepts and ideas on this. Understand. Assimilate and be this. Be that total unicity consciousness, and all further things will spontaneously happen. Try to stabilize in a situation from where you can observe the body-mind. This is the basic philosophy of spirituality, the most important aspect of spirituality. Master it. Be that. Then you need not come again. Hold onto that, be that, and the rest will be taken care of [by Grace]. Spontaneously. Don't try to struggle and be there [with the "I am" sense]. It is as simple as looking at the flower and realizing "I am not the flower. I am here, the flowers are there." Don't be the body and mind, observe the body and mind and feel "I am not the body and mind." Having got this, either accept it as the royal truth of spirituality, or throw it out and go to somebody else and collect more ideas and concepts about spirituality. Try to observe the body and mind and understand you are not the body and mind. By understanding you stabilize in a position prior to body and mind. Having rejected the body and mind you are that total consciousness. Then you have to understand that this consciousness is due to the body. Because of the instrument of the body, that feeling of consciousness is there. And I as the Absolute [pure Awareness] cannot be that consciousness. So again, try to observe consciousness [the sense of beingness, knowingness, "I-am-ness"] as you observe the flower. Having become, or realized, the total consciousness, the next step is to be in a position to observe consciousness and all the play in consciousness. That is a very difficult stage because of the attachment to the body and to consciousness which is due to the body. So to understand that you are not the consciousness, the product of the body, is very difficult, but is the next step. No more or no further than this will be given. That's all. This is the limit of communication. Further, you must fend for yourself. I have no form, no identity. And thus I see you as myself. You are myself only, without form or identity. By mistake you stumble into this place and collect all this talk. When you have collected, go away and don't come again. If it's good, try to use it, if not, throw it out. Some people are in the habit of arguing with the guru and don't meditate. They don't realize. Just as children don't offer resistance to growth, they naturally grow, similarly, a spiritual seeker doesn't offer resistance to the guru's instruction and meditates on that and then he realizes. It is "intelligent" people who offer resistance to the guru. The simple ones don't offer resistance to their guru. Some people don't allow the knowledge to stabilize, they go on arguing, they use their intellect to [try to] realize the Self, which is of no use. Many people go on collecting knowledge in different places but never let it stabilize and so do not realize. In Awareness there is no foreign element. Presently this consciousness is the foreign element. The jnani is on the borderland between knowingness and not knowing. Because of this knowingness, there is an imperfection in Awareness. This knowingness or consciousness gives the pain or sickness. I want to get rid of this sickness. This consciousness is painful, when considering the perfect state of awareness only. So a jnani's state is something like Awareness with the stigma or spot of consciousness. But he cannot remove this consciousness. It has spontaneously come and it must spontaneously go. This "I am-ness" was not earlier here. There is no "I-am-ness" in awareness; but out of nothing this "I am-ness" has appeared, an intruder. Since it has come, it must go [something which comes is temporary, impermanent]. This consciousness which gives all the trouble did not have existence earlier. So it should go back into its non-existence. Also, this is illusion because out of nothing something has been created. So what was the raw material? —Nothing. So whatever is created out of nothing can only be an illusion, it can't be fact, it's not the truth. What is the value of it, it's apparition only. That's why I dare talk like this. This is a big hoax, a big fraud, created out of nothingness. Can you create something out of nothingness? Therefore, whatever is created is nothing. Throw out whatever I have said; but nevertheless, you can't, because whatever I have taught is now securely planted in that birth principle of yours. You cannot pull it out. In due course of time it will grow. Whatever I have taught is now deeply planted in you, i.e., the "chemical" [or "fertilizer"] that you are [consciousness manifesting as body-mind]. So in due course of time it will fructify in Knowledge [jnana]. There is no real guarantee that we will see each other tomorrow because of my health. But there is no separation between you and me. We are one. Don't imagine any separation. Last night I was again granted another dream of the Maharaj. I had rented a place near a beach. I was sitting at a table in a dining room and I looked down at the floor at an opened bedroom door, where a younger Maharaj was lying with his head turned toward me. He rose somewhat and turned his face more toward me, and a kindly smile (with teeth showing!) slowly began to light up his face. His wonderful eyes beamed happiness, peace, friendliness, encouragement. Again he communicated that I wake up, all of this [night-dream and also waking state] being only a dream. This morning's meditation at his mezzanine-loft shrine-room was very, very clear and powerful. I became quite still and one-pointed and had a strong sense of going completely beyond the body and [most of] the mind. During the discussion, during which time I simply remained silent, the meditation grew even stronger. I just sat in the back corner, next to the altar, in great peace. My body and mind felt very light and clear, as though floating on the surface of the deep ocean of consciousness. Those who get stuck [after being with other teachers], with a vital need come here, and that need is satisfied. These young people here just meditate and don't confront me with their knowledge. They are receptive. No miracle that can happen in this universe can have any impression on me, because I know that the greatest miracle is this entire universe being contained in a speck of consciousness--how can anything be greater than this? There are a number of people who come here to try to influence this mind, but this mind has not been influenced by them [or by their miracles]. Fortune tellers have come to predict the future of this life. I tell them, "Don't undertake this peril of trying to foretell my future, for I know, by the grace of my Guru, that I have no beginning and no past or future. But since you have the same consciousness as I do, whatever you say will be an effect, but the effect will be on yourself, it will boomerang. So whatever you say is at your own peril." [A famous yogi, Tikku Baba, in his dying days, wanted to give M his powers.] I told him, "This kind of exchange can only take place between two individuals. And my individuality has been given up a long time ago. I exchanged my individuality to my Guru. I have given up my individuality." The individuality was given up so long ago that I know that there is no birth or death. All this play of consciousness is simply entertainment. People come here with a certain purpose. They come here to get knowledge. I talk because the words naturally come out, but there is no intention behind my talk. There is no intention behind my talk for them to get knowledge. Others may come here because they are in some difficulty or have personal difficulties, but again I make no determination that those difficulties should go. The fact remains that in many cases such difficulties do disappear, but those difficulties naturally disappear, probably only because this place has some sanctity. But the fact that the person comes here only means that the end of his difficulty is near. But there is no mental decision that those difficulties should disappear. Isn't it an amusing thing that people come here seeking my address from five or ten thousand miles away, whereas people who are here in the Khetwadi area, five minutes away, are not even aware of this place? People come here from long distances. Why? Because consciousness feels the need for coming here—therefore the physical body comes here. The individual doesn't come here because of his mental or intellectual decision to come here; consciousness takes him by the ear and sends him here. Next door neighbors don't come here but people from all corners of the world come here with a sense of urgency. Why? At the afternoon session the Maharaj made a point of telling me to sit in the back at the foot of his altar-shrine to his Guru, Sri Siddharamesvar—as I have been doing anyway of late. I think the Maharaj wants me to abide in and surrender to the spiritual power of the holy vibrations of this spot. Once again during the entire group discussion with Maharaj, I made no comments, but just sat still, imbibing the vibrations of this place, which "must have some sanctity," as Maharaj has humbly stated. My body-mind grew very light and felt like it would soar away, like a helium balloon. I was letting go of all concepts and all trying-to-make-sense of what was being said (it was a relatively dull conversation anyway, with rather rudimentary questions being asked). I was simply letting it all be meaningless, letting the mind unfocus, dissolve in the stream of pure sound energy (voices talking, traffic noise outside). A pulsing hum of pure vibration. Mmm... A very clarifying and pacifying meditation. The only statements of Maharaj's that stayed with me were, significantly, "Anyone will be liberated when he is free from all concepts," and "Just let knowingness subside into unknowingness," and "wisdom says I am nobody, love says I am everybody." I decided to go ahead and again stay for the bhajans (devotional singing) (originally I thought I might skip them tonight). The Maharaj, seeming more mystical and animated than usual, quite deliberately directed me to two different places, as though he were setting me up in some "power spot." He would slowly, intermittently pace back and forth, coming near me, looking intently at me, as though he were checking up on the vibes, or my psychic state, or something. I simply allowed the sense of meaningless, dream-only consciousness. It felt good to let the body play during the bhajans and not be at all attached to the body, trying to "adjust" it in any way. During the bhajans I realized that I feel total obedience to Maharaj and would do or not do anything he says, such is my complete trust in his "unintentional" guidance. Another day of silent meditation on my part at the Maharaj's discussions. This morning for some reason the mind wandered a lot. I simply remembered Maharaj's teaching for us: "You are not the mind!" So the mind can wander while one's essence is perfectly at peace. Two devotees of Rajneesh showed up. The Maharaj, who, in the past, has laughed Rajneesh disciples out the door, said, "Your orange-red clothes—your uniform—is an announcement that you are in relationship to Rajneesh as disciple to guru. Why then do you come here and expect me to interfere in that relationship?" Elsewhere he referred to Rajneesh as "a highly realized being" but also as "a great personality" (--not exactly a compliment, since for Maharaj the personality is "a nuisance and a hindrance to be done away with" [I Am That, Vol. 2, p. 92]). He also said, "I refuse to comment on him," implying that he did not want to criticize Rajneesh. During and after the evening discussion, I stabilized more in the sense of just being, noticing the passing dream-show rise and fall, realizing, "Neti, neti" ("[I am] not this, not this.") Knowing that consciousness-mind-body-world have arisen spontaneously and will one day spontaneously disappear renders them very light and ethereal. I get a very strong feeling of my true nature as empty, clear, free, open, subtler-than-space, no-thingness. There's nothing to be done about anything. Just witness and enjoy the passing show and know, "I am not this—none of this happens without me as the no-thingness out of which it can arise." This witnessing can happen continuously, freshly, with each moment's new sensations, lest one get caught in identifying with the passing show. I found it useful tonight to just gaze at Maharaj and silently note, "neti, neti" (not this, not this), lest I identify with the sensation of looking at him and then assume that I am a "somebody-over-here" who stands in shishya-guru relationship to "him-over-there." A very clear sense of "this is all dream-only" arose while practicing this method of looking through (penetrating) our relationship. The Maharaj's words, "finally, even the sense 'I am' must be given up," were very influential—so much vanished with them. This morning's meditation/discussion periods with Maharaj were filled with much peace, and great sensitivity regarding any deviations from stillness or any attempts to fill up the basic emptiness of pure awareness with personal "stuff" such as plans, memories, fantasies, or concepts. A wonderful spontaneity dawned. During the afternoon, this body conducted errands and witnessed "sightseeing" in busy, bustling Bombay, and was delayed in getting back to Maharaj's for the evening discussion. I allowed myself to get a little agitated in the process of "running late." Nevertheless, upon arriving at Maharaj's I was almost immediately restored to peak, peaceful condition, such is his influence and that of his "sanctified" puja room. During one section of this evening's session, I was staring at Maharaj intently, feeling great mumukshutva (earnestness), while deeply realizing, "I am not any of this—just WHAT AM I?" The sense of power, infinite vastness, and purity of Absolute Awareness was awesome. Tremendous peace and a sense of body-mind floating on the surface of consciousness—such was the experience again at this morning's sessions with the Maharaj. After tonight's discussion and bhajan sessions with the Maharaj, I did padnamaskar toward him, feeling much devotion. I looked up at him, and he had a most kind, lovingly-compassionate expression on his face. Then he quickly dismissed me, as if to say, "Carry on, don't get attached to this play of bodies and personalities." So be it. 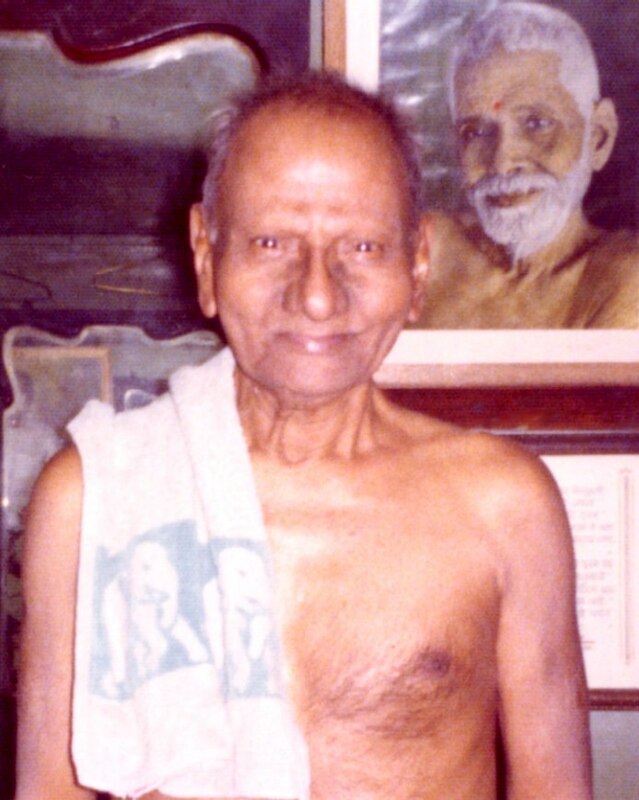 Saranam Sadguru. Uneventful. (Maharaj himself has said: "Nothing is ever really happening.") At the evening discussion, Maharaj mused, "Why is consciousness afraid of stopping its identification with the body-mind? It has become very comfortable in its acquaintance with its illusory creation [the body-mind], which is so familiar, like an old friend. Consciousness doesn't want to give up this 'old friend.'" This morning the Maharaj was talking about consciousness as being a "foreign element" relative to pure awareness. I "broke my stillness" to ask if this "foreign element" were real and independently existing—because if it is, then a dualism arises in our thinking. Maharaj and the interpreter (Balsekar, who is, like Maharaj, a feisty fellow) immediately jumped on the use of the term "dualism" and asked, "What do you mean by that?" They continued to say that I use a bunch of high-flown, spiritual-jargon terms like “lila” [Divine play] and "parabhakti" [nondual devotion], etc., which the Maharaj doesn't like Westerners to do. We are to use "ordinary" terms here. I felt slightly frustrated that they make such a big and unnecessary distinction between "ordinary" and "spiritual" vocabulary here when those "spiritual" terms are just as meaningful in my experience as "sky," "door," and so on. What's more, the Maharaj and his translators themselves use a lot of "high-flown spiritual terms" like "Brahman," "Parabrahman," "vyakta," "avyakta," "samadhi," "maya," "lila," etc. But I did see that my question was an intellectual one, and earlier the Maharaj had sarcastically talked about how we like to cook up and serve various conceptual items with our intellect and then chew, savor and relish them, endlessly. One might say that Maharaj and his interpreters do the same, but he is the Guru here, I am not. So I simply replied, "Maharaj has advised me to be still, and I see that I have violated his advice, which advice is perfect for my situation." One must be obedient to the Guru. One must "Abide in the Guru's words," as he has said, without resisting these words or taking issue with them in any way. They have a power which the intellectual mind cannot fathom. Curiously, in tonight's discussion, Maharaj actually answered my original question from this morning (just as he answered my question on the morning of January 10 in delayed fashion at the evening session). In reference to the "foreign element," Maharaj said that "everything is both real and unreal." On the oftimes frustrating "method of the Guru," Jean Dunn, who is editing several books on the Maharaj's teachings, told me that one of the first things she heard the Maharaj say was, "Your consciousness is a food-product," and "The consciousness of Lord Krishna and that of a donkey are one and the same." She said to me that, after hearing this, she was ready to go to the airport and take the first plane home. But she had to wait a week for a plane, and in the intervening time decided to see the Maharaj again—and felt so much transformation that she became his steady devotee! One of Maharaj's young male Indian students stated to me that in former days Maharaj would, upon noticing some people dozing off at the morning meditation session, hit them with his walking stick. Which story reminded me of the old Zen masters rousing their disciples in the monasteries during meditation periods by whacking them on the soft spot of the shoulder with their kyosaku stick. Maharaj must be the first Hindu Zen master I've met. It is interesting to observe Maharaj. Sometimes, because of his advanced age and physically unwell condition, he is really "out of it"—eyes closed, breathing forced and irregular, subject to trembling hands and drooling when talking, restless shifting about or moving in his chair during the discussions because of the bodily pain, blowing his nose frequently, and sometimes tired or faint when standing for the long bhajan-sessions. At other times he is "right there"—sharp-eyed, quick and direct in his verbal responses, full of great fervor and wit and vitality, scrutinizing those around him, quite forceful with his gestures (finger pointing, hand-slapping, hand-waving, and so on). He is an amazing being, continuing to let us troop into his room each morning and night, and talking to us for hours in spite of the pain of his cancerous condition. Incidentally, he claims that the ultimate state of a jnani is that he "doesn't know what he is," "he doesn't know himself," since he is nothing. Today the sessions with the Maharaj were uneventful. The day was significant due to meeting, during the mid-day period when it is "recess" from Maharaj's class, a very curious sage, U.G. Krishnamurti (currently staying in Bandra, a northern suburb of Bombay). U.G. is also involved, almost reluctantly it seems, in this sagely work of annihilating people's concepts when they seek him out to discuss "spiritual things." Though U.G. is highly critical of most so-called "gurus," he shows great respect at my mention of being a student of Sri Nisargadatta Maharaj. Indeed, on some of my visits to U.G., wherein it is often just myself visiting or maybe one or two other persons, he says exactly the same thing as I have heard from the Maharaj, as though they are manifestations of that same inner Guru repeatedly telling me exactly what I need to hear. Another relatively uneventful day at the Maharaj's for talks and bhajans. I spent the mid-day period visiting the ancient Elephanta Caves in Bombay's bay-harbor, and having darshan of some very inspiring, larger-than-life sculptures of Siva in his aspects of Nataraja (Lord of the Dance) and Mahesamurti (his three-faced image: creator, preserver and destroyer). This morning at the Maharaj's I became very still by noticing, and thus annihilating at the root, all desires that came up, as per his instruction. If "wanting breeds thinking," as U.G. maintains, then ceasing to want ends most thinking, planning, remembering, and so on. At the evening discussion, the Maharaj was very vibrant and humorous toward me. He chatted with me about various things. He asked when I was leaving. I told him that maybe I would leave in a few days—I don't want to impose myself on him by continuing to hang around here too long. I said that I know that Awareness doesn't move, and that Awareness as the Guru is always seated in the Heart, regardless of wherever the body goes. In the course of our conversation, the Maharaj also made a few wisecracks to me—for instance, he declared, "After here, you may go start an asram [literally, a "place of spiritual refuge"]." "Oh, NO!" I humbly replied, with a bit of mock-horror. When he insistently repeated the statement a second time, I quickly surmised that he likely was giving some kind of permission and blessing and/or making some kind of prophecy, having to do with future work sharing the nondual teachings and perhaps an unostentatious "refuge" place or center for sharing, and so I didn't resist or comment further, but just sat silently, gratefully imbibing his words. The Maharaj also notably said at another point during our conversation: "You may stay anywhere else forever, but you may not even stay here only one day." By this he surely meant that the ego-sense cannot stay here in his presence—he will not indulge it. Further, it means the Maharaj does not recognize the existence of an individual—there is only the universal consciousness or "I am-ness," while Pure Absolute Awareness, prior to the "I am," spontaneously witnesses all this. "By the grace of the Sadguru, one is dispossessed of the five elements. Sadguru, the highest aspect of Brahman, is all-love for no-knowingness, no-beingness. Even for a moment I don't want association with this manifold. In the days of Jnaneshvar [1276-95] and Ekanath [d.1599; two great Marathi saints of the nondual Varkari movement], devotion to God was so strong that the meditation object would become concrete as God and serve his devotee." "No-knowingness is the perfect state. This consciousness state [the knowingness or "I-am-ness" state] is very subtle, very tasty, but nevertheless is a lot of trouble. Don't let there be the feeling, 'I am One,' or 'I am a personality,' or 'I am an entity.' Just witness the manifest play of consciousness and realize 'none of this is me.' Moment by moment let it happen spontaneously without the sense of being a doer. This is real meditation." Tonight the Maharaj confided to us that, though he has quit smoking cigarettes, nevertheless, in spite of the doctors' advice, he is still chewing tobacco. Today I felt stiff and achy and dazed most of the day, due to some strange illness. My morning meditation at the Maharaj's suffered on account of this. Real meditation, however, would not be affected by bodily ills. The Maharaj's state is proof of this. I did not go to the evening session due to a concern not to infect others with whatever flu-bug I might have picked up. Today is to be my last day with the Maharaj. I had a good meditation at his shrine room in the morning, feeling great peace and a great love for this feisty, even cantankerous-appearing little man, who has (most fortunately!) confronted my intellectualizing tendencies. In the afternoon, I went to the incense shop at a nearby temple and bought what I had been told was Maharaj's preferred brand of incense, "Intimate," and presented it to him, along with the usual fruit as prasad ("Divine gift"), at the evening session. "Please don't bring gifts," he said, but he kindly accepted it anyway. I am no longer collecting spiritual seekers. If any one comes any more, I will not talk to them. This work is finished. Anyone who absorbs this teaching will be reduced to that state [of no "I"]. Once you've had this vision [darshan], you'll not be left the same, you'll be transformed. When you realize your Self, you'll not remain what you think you are. In this state, all identification, "I am this," "I am that," will stop. I am not cursing you when I say that the experiencer and all experiences will end in this state. That by which you know you are will not remain. It should go out. The "I am-ness" is only a product of the five elements, and/or food. We are identified with it. [Again,] presently we are one with "I am-ness." This is delusion. You as the Absolute must get out of that. Were you concerned about this "I am" before you came into it? Because it came into being spontaneously, without any of your doing, so it will disappear, spontaneously, without your doing, and the Absolute which you are will remain. Presently what have you got except the concept "I am"? That is your only asset. You think you experience so many things, but they are only concepts which arise out of the primary concept, "I am." And they will disappear with that. By association with that great God, consciousness, I am having all these experiences. If the "I am" or [consciousness, or] "God" is not, can the world be? No. If "I am" is not, can God be? So many people come here spilling, brimming, bubbling over with knowledge. Staying here, that knowledge subsides. If you don't have the primary concepts "I am," what experience can there be? How did this knowledge, "I am," sprout? Few jnanis ask this question, but are content with the knowledge, "I am." How did it sprout and why?—all this they do not enquire into. Many people have heard so many things here; what is the use of all that? After listening to me, you will be free from all concepts and knowledge. The Truth can never be absent. The Truth ever is. If you remove the body, and the memory of the body, what have you? [Someone says, "Pure I-ness."] That is a word; are you the word? If you don't have that sense and memory of the body, how can you conduct your worldly duties? If you want to conduct yourself [lose yourself in] in the world, forget what I have said here. So many great saints have come and gone and there is no memory of them. Where did they go? Heaven? So many gods have come and gone. Have they been able to preserve their identity, "I am," and their memory of "I am"? When there is no body, the sense or memory of "I am" is not. You know that you are. Get to know it better. When it was time to leave immediately after the first evening bhajan (to go catch the bus that would take me 9 hours to the ashram at Shirdi, where lived and flourished the great nondual master Sai Baba d.1918), I heartily did full padnamskar at the Maharaj's feet. Before this, during it, and afterwards, he was staring at me with a most peculiar, almost "sentimental" expression--as if to say, "Parting is such sweet sorrow". 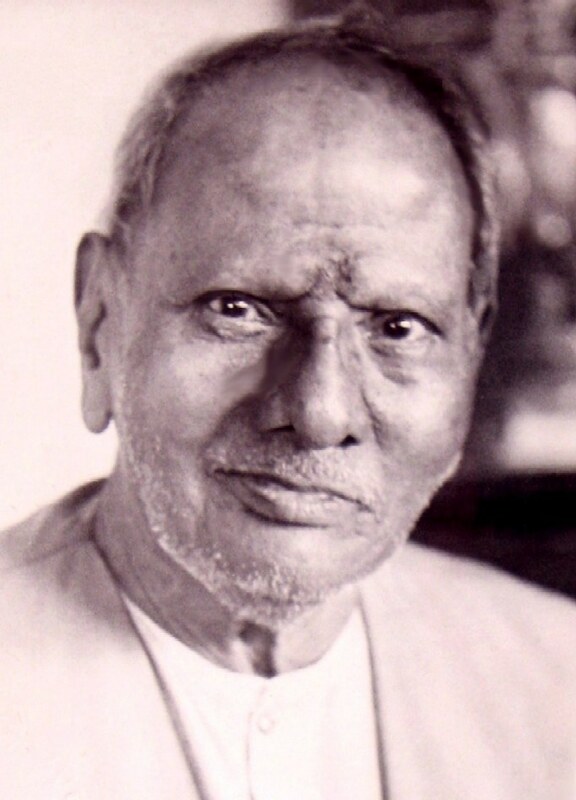 Feeling that I must be moving on, not just in obedience to his instructions to fully "digest" and consolidate the precious teachings and intuitive presence with which he had infused me, but also to complete some of my research in other regions of India, I looked at Sri Nisargadatta Maharaj for the last time. Then, reluctantly, I left his little puja room, walked down the narrow steps to the ground floor, and proceeded out into the Bombay night. Sometimes the mind wonders why I ever left... but then I always immediately realize that we never ever "leave" or go anywhere. The essential, real Maharaj— the Inner Guru— always pervades our Heart as Absolute Awareness, the Only Reality. News of the Maharaj's death, which occurred on September 8, 1981, reached me a few weeks after the fact. I was, on the one hand, greatly saddened by it, and, on the other hand, moved to feel a tremendous sense of humor and good cheer about it. After all, it was what the Maharaj "preferred." He had said many times that physical death is the "happiest of moments" for the jnani. Now the pain was gone—not that it was ever unbearable for him, since he had disidentified from consciousness and was simply abiding as the witness of whatever happens in consciousness. But gone was the "foreign element" of consciousness for which he had absolutely no hankering. There was no longer that "stigma" or "spot" superimposed on pure awareness, just pure awareness itself, the Absolute Divine Reality. Later in the dream I was on the flat roof of a building across the way. Suddenly the Maharaj was up there, on the other side of the roof. I went over to him, knelt and bowed, and cried with joy and gratitude at seeing him. My heart was opening infinitely wide. The Maharaj was very grandfatherly to me. After some dream-time of my being with him, he left. Later, I saw him in his room, and told him how much I enjoyed seeing him up on the roof. He looked at me powerfully and, with a tremendous gleam in his eyes, declared in that telepathic, mind-to-mind manner, "That was just a dream!" He also communicated, "This, too, is just a dream—wake up!" Rather than wake up, though, I just felt tremendous love for him, within the context of the dream. When I did in fact wake up the next morning from the "night-dream" into the big "day-dream," I sat looking at the pictures of Maharaj, feeling tremendously exquisite love for him and love from him. May all beings awaken to their Supreme Identity, by Divine Grace.